Boko Haram terrorists have attacked a community near Chibok town in Borno State, injuring scores and destroying over 60 houses. 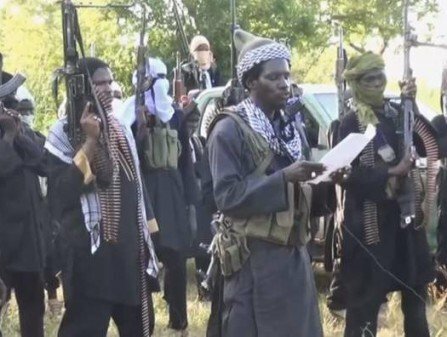 Some residents of Takulashi community who fled to Chibok, some 15 kilometres from where insurgents kidnapped over 200 schoolgirls on April 14, 2014, said they fired into houses at about 11am on Sunday though the news of the attack only filtered into Maiduguri, the state capital yesterday evening due to the remoteness of the area. “They were not many, but were very armed, shooting and threatening to kill everyboy, but we had fled before they came. They set fire on our houses, even throwing bombs into houses. They burnt down more than 60 houses,” a resident, Bitrus Ali, told Daily Sun on phone. This is even as President Muhammadu Buhari said yesterday that the December deadline to rout Boko Haram is open to modification. Meanwhile, Guards Brigade, Nigerian Army, the police and other security agencies yesterday commenced intense security patrol of the Federal Capital Territory (FCT) and its environs to flush out insurgents and other criminals. The Brigade Commander, Brig. Gen. Yusuf Musa, said the joint patrol which was on for some time now, is aimed at routing terrorists, others. Calling on the public to continue to be at alert and report any suspicious persons and movements around the vicinity, Gen Musa said the joint patrol will target all the black spots within and outside the city. The commander, who spoke during the inter-unit short talk competition organized by the brigade, said the contest was to evaluate and consolidate the intellectual ability of troops and build their confidence in public presentation, while improving their knowledge in the basic aspect of interactions and military regimentation. Buhari is a liar I will stop believing in him henceforth. bezo,u are a **** to have address president buhari as a liar,dont u have respect for elders?lack of home training.